Video surveillance is an essential component for security systems. It acts as the physical foundation for key departments or sites to carry out real-time monitoring activities. Cloud-based video surveillance solutions are gaining popularity among small and medium-sized enterprises due to their reliability, security, and low cost of deployment and maintenance. 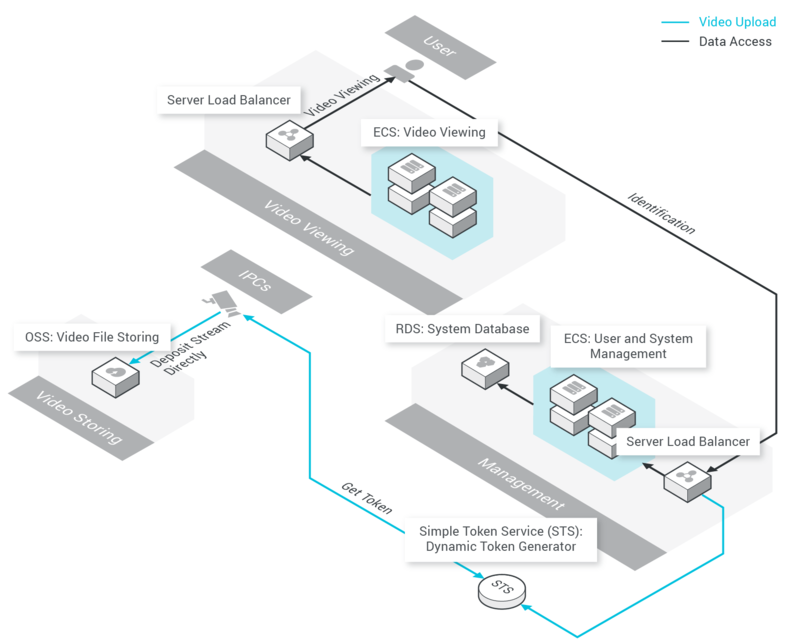 In this solution, Object Storage Service (OSS) is used to provide direct video stream storage capabilities, removing the need for a video segmentation cluster. IPCs can access OSS directly using the Alibaba Cloud account access keys (AKs) with the Simple Token Service (STS) temporary tokens. With a temporary token, an IPC can still directly access OSS without the risk of AK leakage. The Append Object feature of OSS allows data or media content to be appended to existing files with no loss of stored data. This feature allows the video stream to be stored directly. In addition, the uploaded content can be accessed even when this object (file) is not completely written, allowing for instant file storage and video playback.